Thinking about traveling to Fiji? Unsure what to do when you arrive there? The tropical island of Fiji boasts numerous activities for people of all ages. With it’s crystal clear waters and gorgeous blue sky, it would be hard to say no to jumping in the waters of Fiji and exploring the many the islands. Planning to bring the family? Fiji isn’t just for adults. Fiji is renowned for its family-friendly attitude, providing fun activities for every age. The more adventurous ones can enjoy the depths of the water with scuba diving and underwater scooting, while others can enjoy a beautiful hike, taking in the nature and beauty of Fiji. There are a number of Fiji luxury villas that can assist you when it comes to planning your travel activities if you are unsure what to do. Join in on a tour of the islands of Fiji. Go exploring, swimming, snorkeling and more in and around the islands of Fiji, with the help of a guide and a boat. Plan out your day to do the activities that you want to do. Take the stress out of transport by having everything organized for you. Make sure that you are focused on having fun and spending time with friends and family. Take a personal tour of the islands of Fiji using a kayak. Kayaking in Fiji is a once in a lifetime experience allowing you to kayak around the waters and islands of Fiji, taking in the nature and aquatic life. Kayak by yourself or use two-person kayaks to journey around, encountering rays or turtles and a number of different fish species as you move along the waters. Tired of sitting down and seeing the same view? Try paddle boarding on the waters of Fiji to give you a new vantage point. Standing up directs your gaze downward and outward at the horizon, giving you the best view of everything below and around you. With the crystal-clear water, you’ll be able to see incredible creatures swimming below your board that you might have missed otherwise. There is an abundance of life in the waters of Fiji, many which you can see while snorkeling. Take a trip out to the Rainbow Reed or Waitabu Marine Park, where you’ll be able to see over 1,500 species of fish and other aquatic creatures. Taveuni Island is home to some of the best diving spots, each delivering a unique experience filled with different reefs and a variety of aquatic life. Become closer to fish and other aquatic creatures, and take in the beautiful, clear waters of Fiji. An underwater scooter is great for beginners and non-divers, providing a safe and fun opportunity to see coral, fish, and more aquatic creatures all from the safety of an underwater scooter. No training is necessary as you are simply briefed on how to use your scooter and informed of safety conditions before you are released to explore at your pleasure. Want to quickly travel across the waters of Fiji? Use a jet ski to make sure you are able to see everything that you want, while having a good time exploring on a jet ski. Nothing is better than being out on the ocean with the wind in your hair as you race around the different islands of Fiji. With the beauty of the nature on Fiji, it’s no wonder hiking is a great activity for all. Trek through the hilly terrain of Fiji, taking in the beautiful views and wildlife you come across. The waters of Fiji have a number of fish species in them, making it easy and fun to try coastal fishing. With the help of an expert, you can enjoy a fun day of fishing. Many fish can be caught year-round, but others have a peak season where they can be caught more frequently, so be sure to plan your trip around when certain fish species will be more readily available to catch. Biking in Fiji is a great experience for everyone. There’s not a lot of traffic, making it easier for you to spend time taking in the scenery. As many roads are not paved, bike riding is an easy and quick way to maneuver around the island. Fiji is much more than some beaches and water. 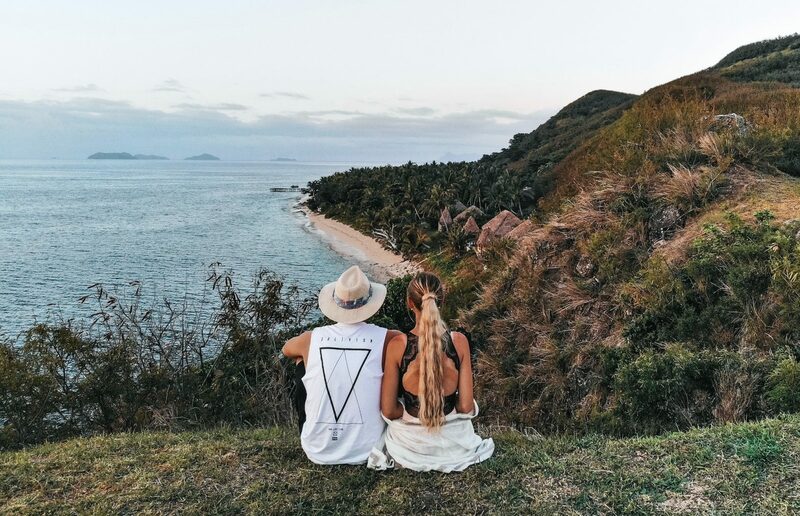 Fiji provides everyone with what they are looking for, whether it would be something simple like fishing or something more adventurous like kayaking. Fiji gives visitors the chance to go beyond the beach and create a memorable experience for everyone.